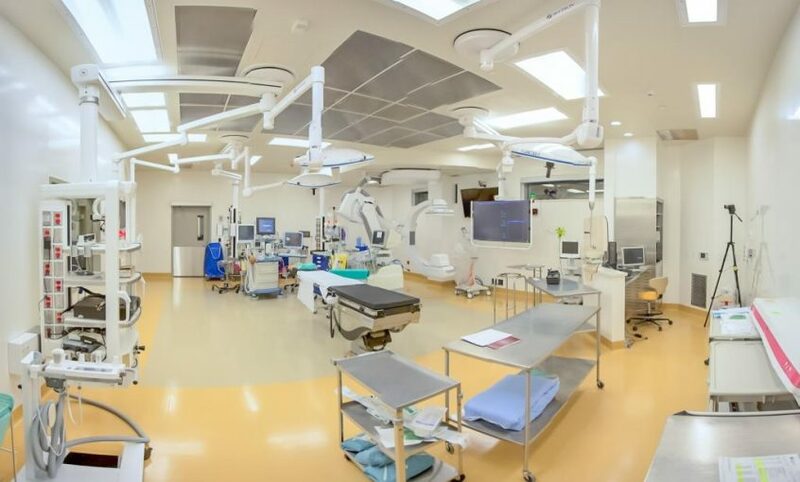 Operating rooms (ORs) are specialized workspaces that require highly functional equipment of the highest quality, which surgeons and other OR personnel use to perform lifesaving procedures. Without this equipment in place, OR professionals may struggle to deliver the care that patients need. There is a definite number of essential operating room equipment that OR professionals need on a per case basis. Each piece of equipment serves a distinct purpose and makes it easier for OR personnel to get the job done. Here’s a closer look at some of the most common required OR equipment that serve the needs of OR staff and patients everyday. Utility columns accommodate a variety of OR-administered services, ensuring better management of workspace in an OR. The columns can also be retractable or fixed and provide a viable solution for the distribution of communication units, electrical services and medical gases in OR suites. With utility columns, surgeons can access electrical devices that are pre-wired, along with medical gas outlets that include a single point connection at the top of the unit. The columns can even be integrated with a CO2 or nitrogen control panel to help surgeons deliver better patient support. Utility columns can be raised or lowered with ease. When a utility column is raised, it provides additional space; when the column is lowered, it ensures that surgeons can hook up to various OR-administered services immediately. Operating on a patient is challenging, and surgical lights empower medical professionals to work to the best of their ability. Picking top-of-the-line surgical and exam lights ensure these professionals can enjoy the benefits of working in a well-lit OR at all times. Ceiling-mounted surgical lights: Ceiling-mounted LED and halogen lights are among the top options available to brighten your OR. Mobile surgical lights: Is your OR in transition? In a temporary room, or for a short-term solution, you simply cannot go wrong with mobile lights. Mobile surgical lights are bright and powerful, providing the ideal combination for just about any OR. Surgical headlights: Light, bright and comfortable, surgical headlights provide surgeons with extra illumination right at the spot they are investigating. These headlights are lightweight and comfortable and will illuminate just about any space immediately. Adding first-rate surgical and exam lights is necessary for an OR, regardless of a hospital’s size. With these lights at your disposal, you’ll be better equipped to maintain a secure, productive work environment. Transporting a patient from one room to the next? You’ll be able to do so quickly and effortlessly if you deploy first-rate patient transfer stretchers for your OR. Hospital stretchers are crucial for various surgical procedures, such as ophthalmologic, bariatric and pediatric. They are designed to help patients remain comfortable and accessible. Stretcher accessories can customize a patient transport stretcher into a specific use stretcher. For example, Meditek manufactured a pediatric enclosure accessory for its line of QA3 stretchers, making the QA3 ideal for children with the combination of the enclosure keeping them safe and the stretcher’s lowest height ability. Whenever a new patient arrives, you’ll want to be ready to ensure that he or she can receive support in a plush or firm bed. Many cushions and mattresses are available that are designed to assist patients of all ages and sizes. Mattresses and cushions can be purchased as complete sets or as separate leg, head, or body cushions. Standard Surgical Table Pads – As electrically conductive cushions, standard surgical table pads feature a supportive urethane core and Lectrolite covering that is simple to clean. The cushions also can help patients avoid bedsores and are ideal for patients during shorter medical procedures. Premium Sof-Care Deluxe Surgical Table Pads – For superior pressure management and enhanced positioning capabilities, the Premium Sof-Care Deluxe surgical table pads represent great options. The surgical table pads feature an electrically conductive four-way anti-stretch cover for increased durability, fluid-resistant seams to reduce the risk of cross-contamination, and other features that make the table pads valuable in an OR. Selecting the right cushions and mattresses – and ensuring they are available to patients every day – is crucial. With a dependable supplier of bedding at your side, you should have no trouble finding the ideal padding for your OR. An everyday OR can become a stressful place to work if there is limited space. In fact, stress remains an ongoing problem among OR personnel, which is reflected in recent data. A study of OR personnel published by the Thrita medical journal indicated 48 percent of nurses said they experienced “work overload” that led to increased stress levels. Also, the study revealed OR technicians usually experienced higher stress levels than other OR personnel. Physical environment factors can affect a medical professional’s stress levels. Comparatively, space management booms may help medical personnel conserve space, increase their productivity, and minimize their stress levels simultaneously. Space management booms can added to almost any OR, regardless of size, and enable medical professionals to make the most of the available space in this room. No one wants to put themselves or their patients at risk of infection, and sterilization and cleaning equipment is available that can make a world of difference for OR personnel and their patients. To better understand the importance of sterilization and cleaning equipment in ORs, let’s consider the results of a recent study on OR foot traffic conducted by Orthopedics. The study, which examined “the number and length of door openings during nearly 200 knee and hip arthroplasty surgeries performed at Johns Hopkins Bayview Medical Center over three months,” showed excessive door openings and foot traffic could put OR personnel and their patients at greater risk of infection. Study researchers found that OR doors were open during nearly one-third of knee and hip arthroplasty surgeries. These open doors commonly defeated the purpose of many safety tactics that medical personnel used to keep ORs germ- and contamination-free, according to study researchers. Sterilization and cleaning equipment, on the other hand, enables OR personnel to devote the necessary time and resources to maintain pristine work environments. This equipment allows medical professionals to protect themselves and their patients against a wide range of potential hazards, such as hospital acquired infections. Facemasks and other disposables and consumables help safeguard an OR surgeon as well as team members and patients consistently. Many top-of-the-line disposables and consumables such as biohazard bags, patient care gloves, and waterproofing pads are available and designed for single use. That way, after you are finished using a single disposable or consumable item, you’ll be able to replace it for the next patient to improve your chances of maintaining a safe work environment. Imagine what it would be like to provide patients with unparalleled support to help them combat general pain and soreness. Thanks to gel pads and positioners, you’ll be able to do just that, as these items enable a patient to sit or rest comfortably and avoid skin or tissue damage. Can be heated or cooled instantly. Repairable and reusable for long-lasting value. Can’t be affected by body fluids, and are easy to clean. Serve as cost-effective options, making them great choices for hospitals of all sizes. Leakproof, guaranteeing you won’t have to worry about each product’s interior spilling out. 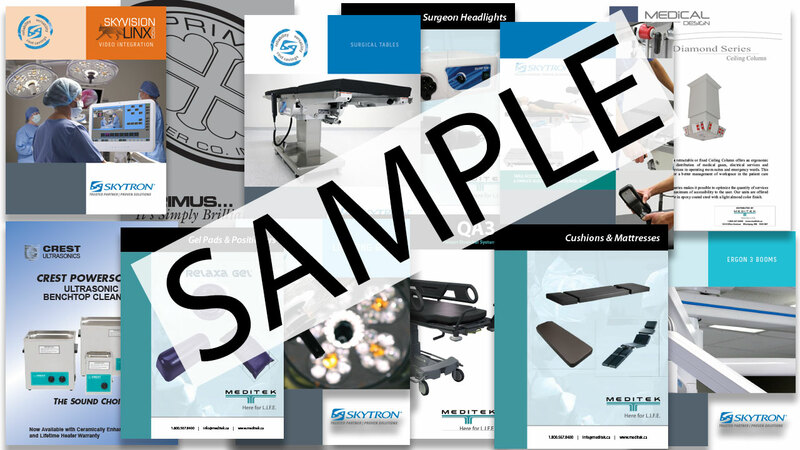 A high quality surgical table and surgical table accessories are at the core of ensuring your OR team can perform the surgery at hand with confidence. Surgical tables are valuable for surgeons during both open and minimally invasive procedures. The tables are manufactured for general surgery, neurology procedures, and other OR applications. Whether performing general or specialized surgeries, surgical table accessories will make either more efficient and comfortable for the patient. Digital integration systems give you a central point of control for all of the moving pieces in the OR. Ability to Connect with Up to 10 Sources – Surgeons can transmit images to four displays at a time, and the system’s windowing features empower surgeons to streamline image management. Simple to Use – With a seven-button keyboard or touchscreen display, surgeons can manage image sources with ease. Flexible Installation – The system can be installed as part of an equipment boom, a nurse documentation center or a nurse desk or mobile cart for added flexibility. Moreover, cameras are available that capture with deluxe images. These cameras can be positioned in a variety of ways and enable medical personnel to record sessions, conduct live broadcasts, and much more. The Skytron Sony Room Camera PTZ serves as a valuable camera in many ORs, as it delivers a quality image that can be routed to multiple systems. This camera also provides four position presets, outstanding low light sensitivity, and other features that make it a superior option in an OR. For a niche market such as hospital equipment in Canada, there is a lot of noise out there when it comes to choosing OR products that are the right fit and dependable. But when it comes to a patient’s health, why should any medical professional be forced to choose products that are anything less than exceptional? At Meditek, we offer many products from industry-leading manufacturers, ensuring you won’t have to settle for anything less than perfect from us. We also have served as one of Canada’s leading providers of medical supplies for over 30 years, and will do everything possible to ensure you are satisfied any time you do business with us. In fact, we are “Here for L.I.F.E.,” an acronym that refers to our dedication to supporting hospitals in any way we can. Let’s not forget about our consulting services, either. Our consultants are happy to meet with you to go over your OR needs. Regardless of whether you need high-powered lighting or specialized surgical tables, we’re prepared to help you review all of your options any time you need us. We’ll guide you through the process of selecting the right items for your OR and ensuring these products will meet your needs at all times. Contact us today to learn more about our OR offerings, and you’ll be able to enjoy the benefits of working with a proven supplier of OR products and services. Valuable OR information and detail. Thank you. Thoroughly explained. Well detailed and each item was well broken down, thank you.. Thank you Martha for stopping past our website, and for taking the time to reply. We operate 3 branches of Dermatological Clinic. We plan to introduce major surgeries like rhinoplasty, liposuction etc., and we are now collecting materials to accomplish our project. We would like to know more about your company. Our clinic is based in the Philippines. Hello Rex, sounds very interesting! I’ve reached out to you by email to discuss further.